They are the smallest extant (meaning, still alive, as opposed to extinct) bird species. And the smallest hummingbird… is the bee hummingbird, who weighs about as much as a penny. But it is their unique style of rapid movement, hovering, back-ward flying acrobatics that are the hummingbirds defining characteristic. 80 flaps per second powered by a 1200 beat per minute heart allows these tiny birds unparalleled maneuverability. 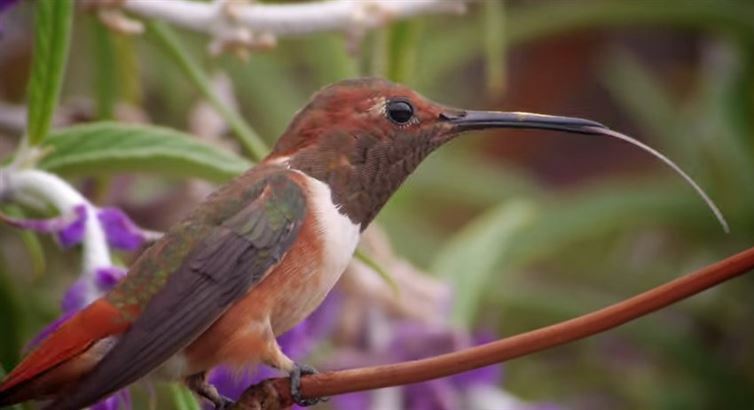 This hovering ability combined with a uniquely adapted long slender beak and tongue combo is what grants the hummingbird access to its favorite food of sugary nectar way deep inside certain flowers. Also quite a hit with the ladies… allll-right! 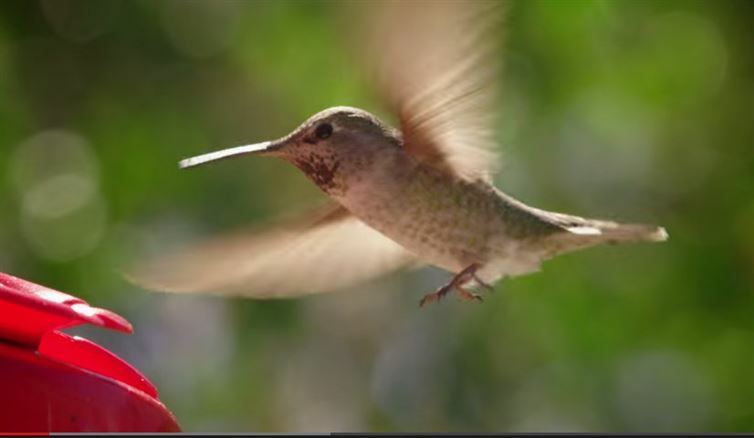 Hummingbirds have one of the highest metabolisms of any animal. To keep that engine running, the little birds need to drink their weight in nectar every day. So how do such small, light birds manage to stay so steady, even in windy or rainy conditions? Robert Dudley, Professor of Biology, and Victor M. Ortega, Post-Doctoral Researcher decided to place hummingbirds in a wind tunnel at the UC Berkley Animal Flight Laboratory and find out.